Born in Chile, Mauricio Segura grew up in Montreal and studied at Université de Montréal and McGill University. He is a well-known journalist, scriptwriter, and documentary filmmaker. An editor of the literary journal L’Inconvénient and a regular contributor to the Montreal public affairs magazine L’Actualité, he has taught at Concordia University, McGill University, and Université de Montréal. Segura is the author of four novels and a study of Western depictions of Latin America. 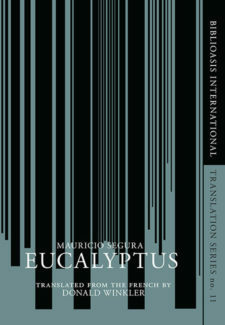 His novels Black Alley and Eucalyptus were published in English by Biblioasis. 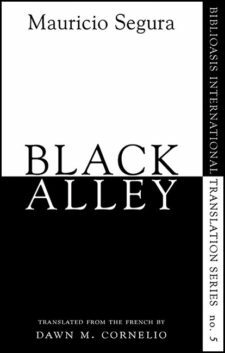 Black Alley is widely studied in Quebec’s junior college system. Eucalyptus was named one of Amazon’s 100 best books of 2013. 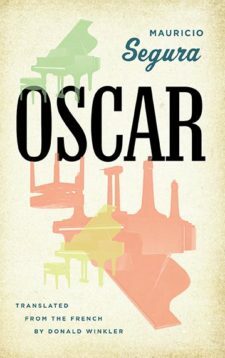 The Montreal newspaper La Presse chose Oscar as one of the 40 best books of 2016.